Are you in charge of getting your company’s social media marketing up and running? Using social media to grow your business, generate leads and build a brand may seem like a huge task, and in some ways it is. But there are steps you can follow to improve your chances of success, which will help you take advantage of everything social media has to offer. If you fail to plan, you plan to fail. So many businesses make the mistake of blindly jumping into social media marketing without a strategy or plan. If you can’t answer questions like “why are you on social media?” or “what social media platform features your target audience?” then it’s time to hit the reset button. Start putting together a plan in writing that you and your team can refer to when you need it. Your social media plan should consist of mini-plans for each social media channel you expect to be active on. You’ll have a plan for your Twitter, Facebook and so forth. If you’re just getting started, keep your number of active social networking sites to three or less. For most businesses, particularly small businesses, trying to tackle five different social media accounts often results in doing a mediocre job with little to no results. Not sure where to start? Check out our free guide, 7 Steps to Create a Winning Social Media Marketing Strategy. Sending out one Tweet per day just isn’t going to cut it. Certain platforms like Instagram and Snapchat don’t necessarily move as fast as Twitter or Facebook. This means you don’t have to publish as often. But you should still develop a routine posting schedule and be consistent. Remember your followers are likely following hundreds or even thousands of other people. If you’re not publishing new content as often as the other accounts out there, it’s easy to get lost and forgotten. One trend becoming popular that you should be cautious of is relying on tools that “suggest” content to share to your audience. Sometimes the suggestions are decent, but in most cases, you’ll end up with a lot of suggested content that isn’t very relevant or high quality. If you didn’t take the time to check the suggestions and just blindly added the posts, you’d be sharing content that’s not really helpful to your audience. Strive to share the best content, not just what’s immediately available. One way to have a steady supply of fresh content is to create a list of sites in your industry or niche that are known to publish high quality content. Add them to an RSS reader like Feedly. Then you’ll have a dashboard full of the latest posts from sites you trust and know have relevant content that you can confidently share with your followers. 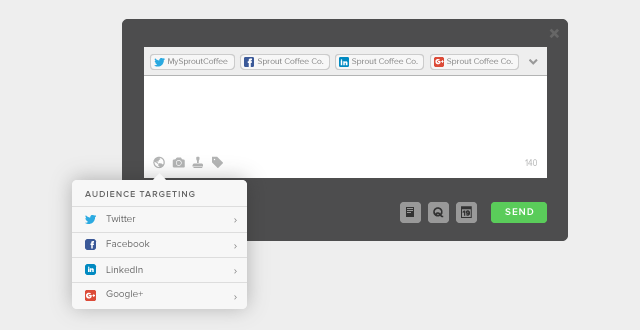 You can even integrate Feedly within the Sprout Social dashboard! There are plenty of other benefits to using a social media dashboard, but those instances alone are more than enough to make the move. The casual user may be able to stick with managing their social media from their phones, but as a business, you need to use a tool that will allow you to be more efficient and strategic. And the most Retweets on Twitter. The most evident example of the power of images for social media are sites like Instagram and Pinterest, which are primarily driven by images. 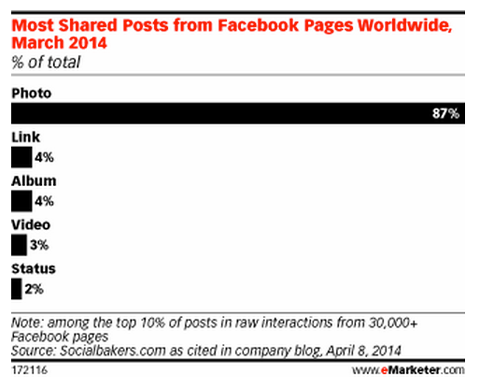 In fact, Instagram has the most engagement of any social media channel. It’s not a coincidence that both Instagram and Pinterest were able to gain a lot of traction and see more success than other failed social networks. Adding images to your social media posts has never been easier. Tools like Canva and Landscape allow you to create perfectly-sized images that are fit for all major social media channels. And you can also do things like use images for upcoming events, make company photos and craft other image tasks for posts to get more visual with your content. Don’t forget to add Twitter Cards to your website so any blog posts you Tweet will have a featured image built right in like ours. It’ll help your Tweets stand out in your followers’ streams. Instead of publishing a Tweet or Facebook post once and then forgetting about it, schedule the link to be shared multiple times and change the headline out with each post. A/B testing is important because people will react differently to a post depending on the copy. In our post, Call to Action Phrases That Will Convert, we went over some of the psychology of words and how we interpret them. The reason why a piece of content is lacking success on social media could be due to low quality content or that your headline in the Tweet, Pin or Facebook post didn’t capture your followers’ attention. 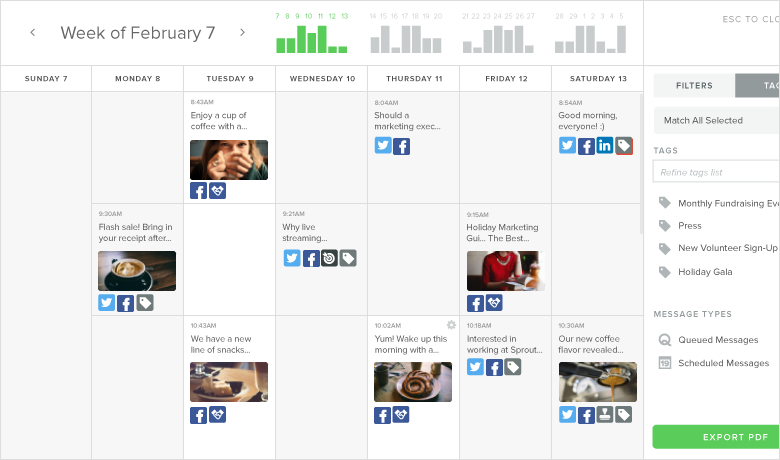 Use Sprout Social’s post planning feature to schedule your posts to be shared throughout the week and test different headlines. Then see which one has the best engagement. To go along with the previous social media marketing tip, you need to measure your efforts and analyze the results. Over 40% of businessesdon’t track their social media ROI at all, so they have no idea whether or not anything they’re doing is working. If you don’t want to fall under that umbrella, start tracking your social media activity right now. You should track these metrics on a weekly, monthly and quarterly basis so you know when and if you need to make changes to your social media strategy. Facebook and other social media networks continue to significantly reduce the amount of organic visibility on your posts, which has more businesses resorting to paid social media advertising to get their message out there. Whether it’s boosting a post or promoting a Tweet, social media advertising is a lot more common as these platforms start to grow. If you want to accelerate your social media marketing efforts and have a budget for it, exploring paid advertising might be worth a try. The costs are generally lower than other platforms like Google AdWords or even media buying, which makes social media advertising appealing for small businesses and startups. On top of that, you have nice targeting options like a user’s interests and detailed demographics. If you’re new to paid social media advertising, here’s a good starter kit that’ll show you some of the basics. Participating in these communities will help you establish yourself or your company as an authority. Use communities as an opportunity to share your knowledge and interact with influencers. As you start to connect with these influencers, they’ll be more likely to share your content with their followers on social media and maybe even on their own websites. Look for communities related to your industry on the social media channels you’re active on, then start joining and actively participating. Try starting with Facebook groups or Twitter Chats because they tend to be the most active. But this can vary. If you’re new to the world of Twitter Chats, join in on our next #SproutChat to see what it’s like! What if there aren’t any existing communities for your industry, or none that are active? Then it’s the perfect time for you to be proactive and create one. Assuming that your industry has a decent amount of people active on a social media channel, start reaching out to let interested people know you’re starting a Facebook group, Twitter Chat or LinkedIn Group and you’d like to invite interested users to join. A local small business group for your city. Groups of people within your industry. Groups with other companies related to your industry. For example, real estate agents, mortgage brokers and construction companies. A lot of the time, there is a desire for groups, but either nobody thought of the idea or they just didn’t take the effort to put it together. You can be a trailblazer and lead the group. This social media marketing tip can be a game changer. Don’t be the company that only shares links all day. The purpose of social media is to be social and engage with other users. That means interacting on a regular basis. The lettuce wraps were excellent, but I wasn’t a fan of the Summer Spring Rolls. The Happy Hour menu had lots of options! Thanks for your feedback! We will be sure to share with our team for consideration. Take a look at some of your past social media posts. How many of them include @mentions of other people? How many of your interactions are replies to other posts? If you’re like a lot of companies, then the answer is probably not many. Instead, your social media stream is probably filled with broadcast posts (a headline/message with a link to an article or just text). You’ve repeatedly seen the advice of engaging with your audience. But what exactly does that mean? Essentially you want to switch from one-way social media posts to two-way posts. The difference is two-way posts encourage conversation and communication. On the other hand, one-way posts leave little to no room for anyone to reply back with anything other than “good post” or another generic response. If you’re sharing a link, ask for feedback and opinions or tag someone so they’ll reply. Think of your social media posts as a part of a conversation. 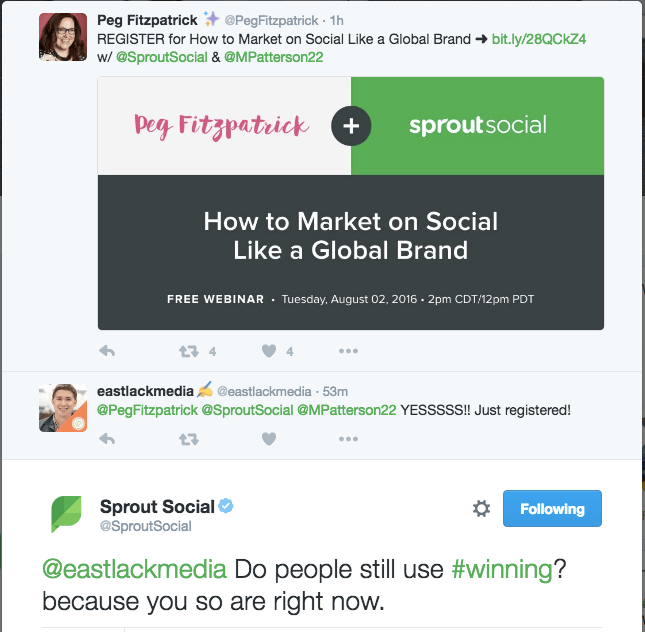 Is one of your competitors absolutely killing it on social media? Does it seem like all of their Tweets get dozens of Retweets and their Instagram posts have hundreds of likes, while yours are completely abandoned? When this happens, you should start to analyze what they’re doing that you aren’t. This will give you an idea of what’s working for your competitors and why they might be seeing more social media success. Once you start to get a feel for your competitor’s strategies, you’ll want to incorporate some of what they do into your own plan. At the same time, you don’t want to completely copy a competitor. For instance, if you notice a competitor posts a lot of images, then start creating more images of your own. Try posting at similar times of the day, or more frequently based on their activity. However, this isn’t an excuse to mimic your competitors to the bone. Your customers will want you to be unique and you should show that by adopting some things from competitors and looking for other ways to improve those strategies. Why should people follow your company? This is the question you need to ask yourself. The value has to be exclusive to the social media channel. If you regularly share the same discount codes through email or on your website that you post on Twitter, there’s no added value there. Make coupons exclusively for social media. Or have content that’s only on Snapchat or on live streams with Periscope so there’s a sense of urgency. The toughest part of building a social media presence is getting those first initial followers. Let’s face it, people are a lot less likely to follow a company with only 13 followers and no engagement than the company with 40,000 followers and hundreds of replies and likes on each post. But how do you get people to notice you when you don’t have brand recognition and people don’t know your company at all? You partner up with an established company or influencer that already has an active following. 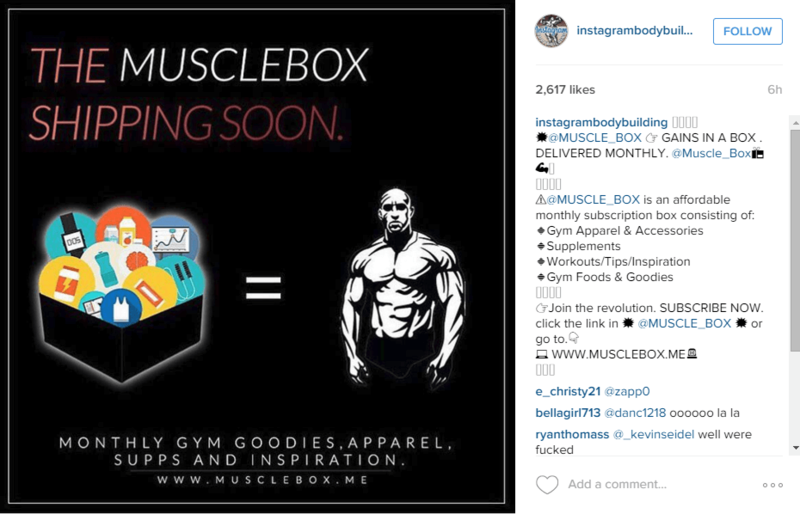 Several companies have seen huge success with this technique on Instagram to go from zero followers to thousands within a matter of days or weeks. This strategy builds off the “Know, Like, Trust” philosophy. The company you’re approaching has an audience of loyal followers that know, like and trust them. Getting a shout out will let their followers know they recommend you. This helps their customers know you’re a brand to recognize and trust as well. 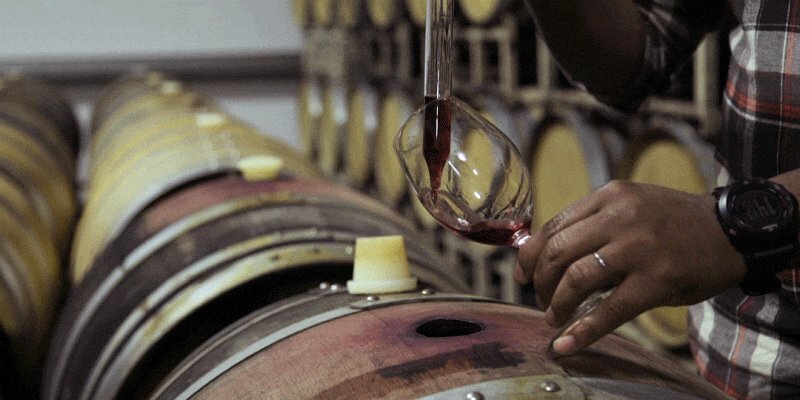 There are a couple different ways you can get started with this technique. The easiest way to achieve this is through a paid shout out. 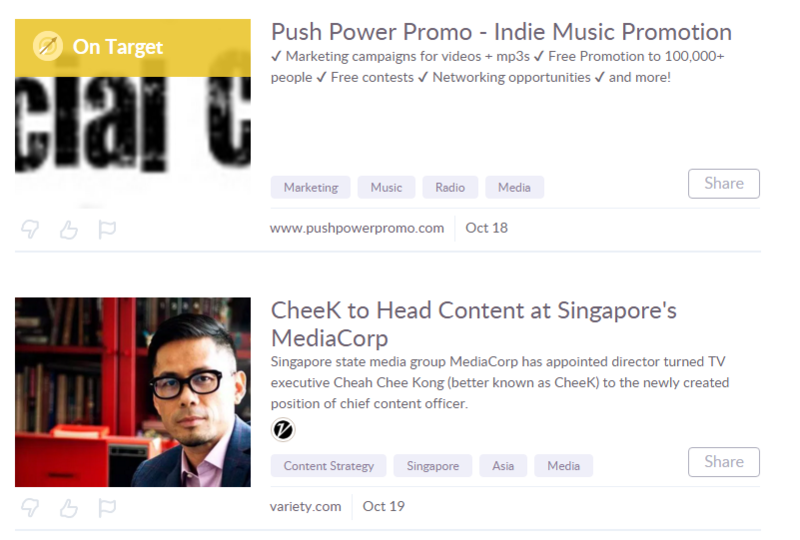 There are several sites that connect pages with a large following to companies looking to get a shout out to their audience. However, you must be careful and do your research before using one of these services and you should never buy fake followers. Another way to get trusted brands to promote your company is by building relationships with influencers first and let the opportunity develop organically. It could start with an email to a high-level brand saying you like their company and the content they create. Then you should share their content and keep in touch. When the opportunity presents itself, develop some type of content or cross-promotional event like a giveaway that’ll allow you to reach their audience while also giving them some value as well. Don’t underestimate the power and effectiveness of social search. Sites like Facebook, Twitter, Pinterest and other social networks have search features that operate just like search engines. When people search for a specific keyword or phrase like #SMM, the site’s bots crawl through all of the content on the site including your posts and profile to display the most relevant information. Including keywords and phrases in your social media posts and profile makes your company more searchable. Social media optimization is becoming more advanced and accurate because these sites and apps have a lot of content needing to be categorized. Get into the habit of using common hashtags, even on Facebook, and relevant keywords within your social media posts so that you have a better chance of being found by people searching for topics related to your industry. 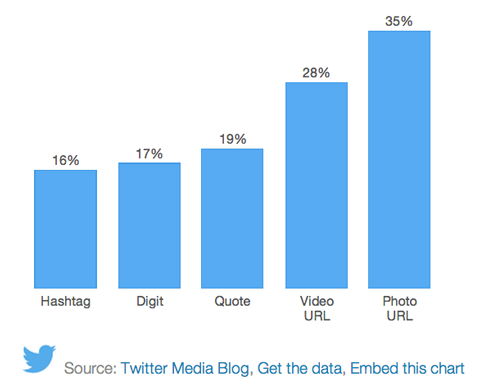 Hashtags are easily one of the best ways to organically expand your reach on social media. As we mentioned earlier, organic reach has dropped dramatically on Facebook and Twitter over the years, and Instagram is likely next in line. In order to expand your reach and get more impressions for your posts and Tweets, start incorporating hashtags. Inserting random hashtags isn’t going to be as effective as taking a strategic approach. Research popular hashtags in your industry, as well as more generic and widely used ones. These are the hashtags people are actively searching for on Twitter and Instagram. Adding them to your Tweets and Instagram posts will give your content a better chance of showing up in the search results. 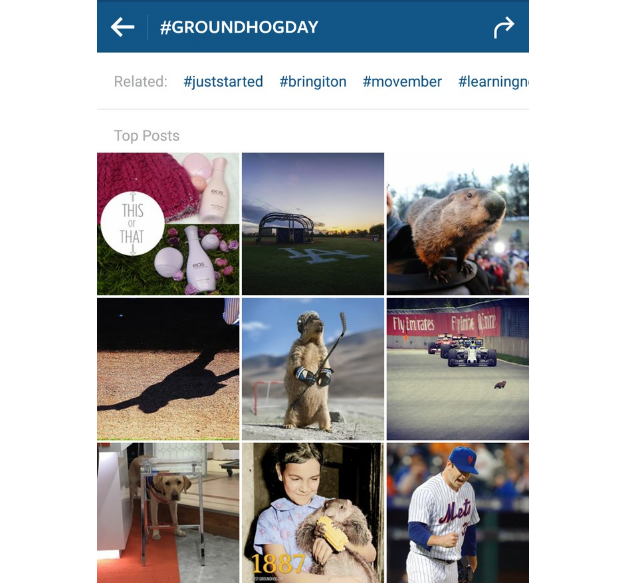 Monitor your hashtag analytics to track which hashtags are generating the most engagement. Who says brands have to be restricted to Facebook, Twitter and Instagram? While those three networks will give you the widest reach, it doesn’t mean you should neglect smaller or niche networks. For instance, Medium is a popular network for publishing long form content. It’s perfect for gaining thought leadership and sharing your industry expertise. It’s not as popular as Facebook or Twitter, but there’s a large enough audience to make it worth exploring. You should also keep your eyes on emerging social networks. Snapchat has been around for years, but it didn’t start to take off for marketers until recently. Being able to spot social media platforms like Snapchat early on will give you a leg up on the competition once they become more mainstream. 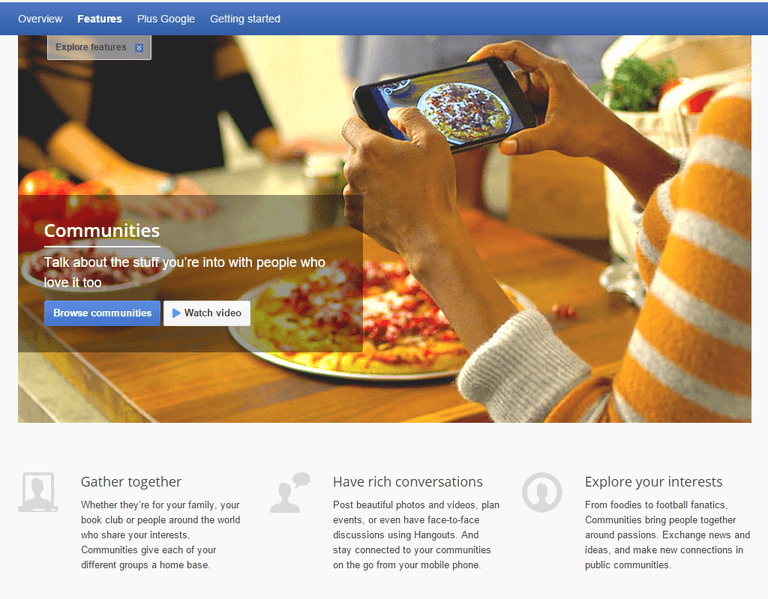 Check out this article for tips on how to find and use new social media platforms. Nearly any list of social media marketing tips you find online will warn you about being too promotional. It’s true that constantly shoving marketing messages in your audience’s face isn’t an effective strategy. However, you can also be too conservative with your posts well. Occasionally Tweeting a link to your products or promoting something that will earn your company money isn’t a bad thing. The reason promotional posts are often discouraged is because some companies go overboard to the point of becoming spammy. Keep the majority of your social media content non-promotional. If you send 10 Tweets in a day, at least six or seven should be completely non-promotional. That creates a healthy balance that won’t turn most of your followers away. Your followers are not all alike. Even though your business may attract a certain demographic, your audience consists of individuals who may like your brand for different reasons. For example, consider Microsoft. Microsoft’s customers and social media followers can range from gamers to small business owners. These two audiences aren’t going to be attracted to the same content. In order to satisfy these different segments, Microsoft has to share content specifically for each demographic. 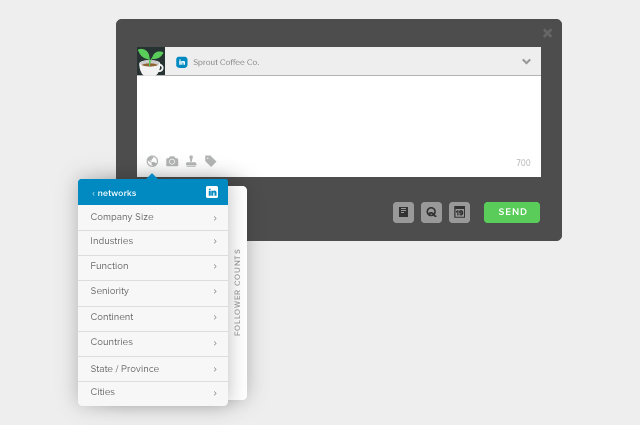 Sprout Social has a great social media targeting feature that gives you flexibility on who social media posts are shown to. Depending on the network, you can target your posts by location, language, demographics and other criteria. Let’s say you want to share a post on LinkedIn targeting the finance industry. Your followers who are in IT or the health industry might not find it relevant. Instead of filling their stream with irrelevant content, you can choose to only show that post to people within your network in the finance industry. 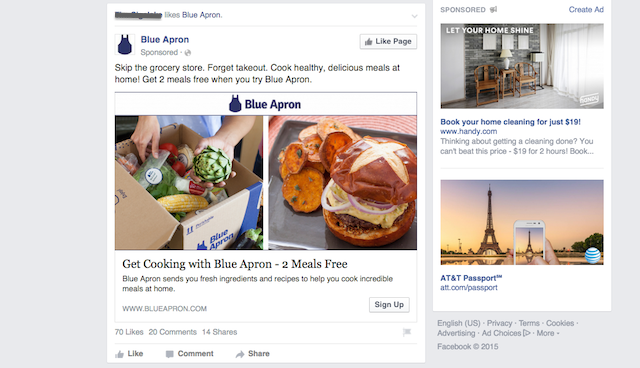 You can try out Sprout’s audience targeting feature with a free trial. Your number of followers shouldn’t be a primary KPI because it doesn’t tell the full story of how well you’re doing. Having 1,000 engaged followers is better than having 5,000 bots follow you. With that being said, social proof is real. When you’re looking for a new restaurant to try for dinner, are you more likely to go to the place with 100 five start reviews or the one with a handful of four star reviews? The same thing applies with social media. When users see that an account has a large following, they view them as more authoritative and trustworthy. The thought behind this is if you’ve gotten 10,000 people to follow you, then you must know what you’re talking about. A good way to gather some initial followers when you’re starting from scratch is to hold a social media contest. Twitter and Instagram contests encourage users engage with you and promote your brand. There are different types of contests you can host, but the important thing to keep in mind is to make them brand specific. Giving away generic gifts like an Amazon gift card will attract a lot of freebie seekers with no long term value. Instead, give away prizes that are related to your brand. Here are some more tips for hosting a successful Instagram contest. Most of the social media marketing tips we’ve shared so far are executed by the person or team in charge of your marketing. But social media doesn’t have to fall solely on the marketing team’s shoulders. If your company has employees or multiple departments, encourage them to help your social media marketing efforts. Whether it’s contributing content to the blog, following the company’s social profiles or other steps, the more involved your team is the better. A great tool to help employees get involved with your company’s social media marketing strategy is Bambu. This tool is an employee advocacy platform that makes it easy for team members to share curated content across their social media platforms. Here’s an example of how you can use Bambu to improve your social media strategy. When your company publishes a new blog post that you want to promote, you can add it to your team’s curated list where employees can share it on their own Facebook, Twitter or LinkedIn profile. With these 21 social media marketing tips, you’ll be well on your way to building an engaged audience and establishing your brand’s presence across all your social channels. These tactics have worked for some of the largest brands in the world, and each tip could work well for you too. Do you have any social media tips that you love to follow? Let us know in the comments!